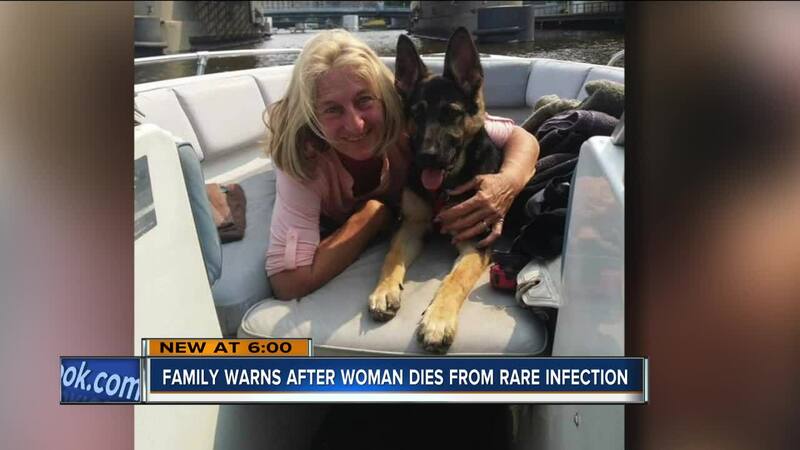 A Wisconsin woman's death was possibly caused by an infection from a dog lick, the same infection that is plaguing one West Bend, Wisc. man. Earlier this month Greg Manteufel developed a similar infection , resulting in the amputation of his hands and legs. Doctors believe it was from a bacteria transferred to him when a dog licked him. Sharon Larson had just gotten a puppy. It nipped at her, causing a minor cut. A day after taking him to the vet for a check-up, Larson was rushed to the hospital. “I was told she could get struck by lightning four times and live, win the lottery twice,” said Sharon’s husband Dan Larson. “That’s how rare this is supposed to be." Within two days at Wheaton Franciscan in Franklin, Sharon Larson was dead, at 58-years-old. “I had no knowledge,” said Sharon’s son Steven Larson. “What do you want people to know? To always be more cautious. 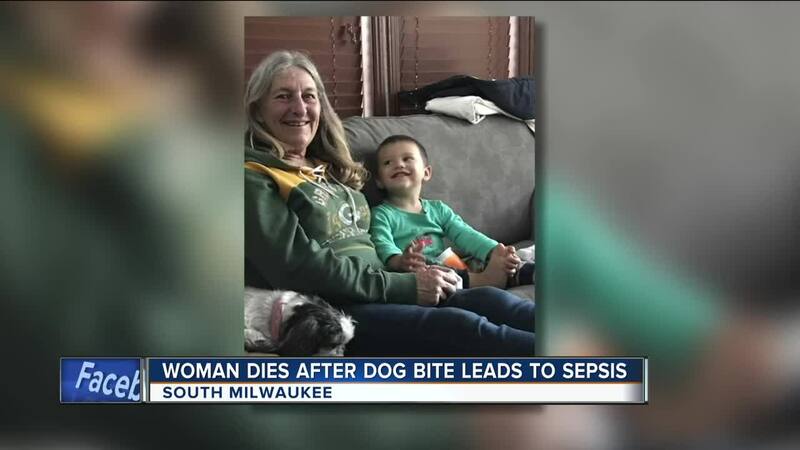 cut to people think nothing of getting a simple dog bite. But even something so simple... can go wrong,” he said.